This free webinar will introduce viewers to EvoluteTools and its advanced geometry optimization algorithms, succesfully used by the Evolute team in real world projects like the YAS Island Marina Hotel and other free-form architectural projects. 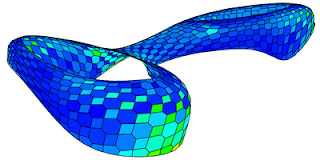 Florin and Mathias will showcase panel planarization optimization and the use of mesh subdivision by literally changing the appearance of the gridshell on the fly. The webinar is open to all individuals involved in any aspect of designing and building free-form structures: architects, designers, engineers, cost estimators, project managers, fabricators. Rhino modeling knowledge is helpful but not mandatory.